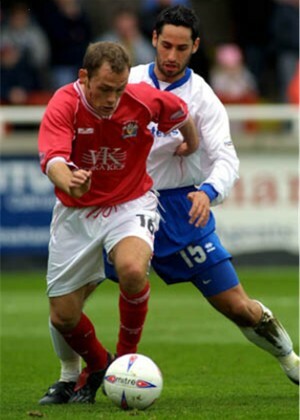 Andrew began his career at Gillingham where he won a youth cap for England. He won a scholarship at the Hartwick College, New York and moved across the Atlantic to play College soccer in America. After three years studying, he returned to the UK and to Gillingham, but was invited to Nene Park for a trial. He signed for Rushden & Diamonds on 12 June 2001, and spent four seasons as a utility player making 74 appearances, mainly in defence. Andrew was released in May 2005, and joined Grays Athletic, where he stayed for three seasons and although he was offered an extension to his contract, opted to sign for Fisher Athletic in July 2008. 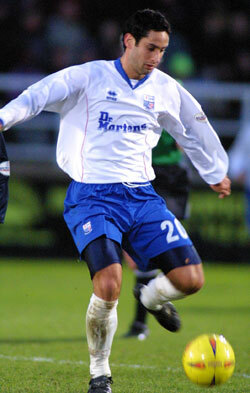 On 10 November 2008, Andrew left the struggling side, and signed for Thurrock, also in the Conference South. His stay was short lived and he joined AFC Wimbledon in January 2009 for the remainder of the season. On 21 May 2009, he signed for another Conference South side, Welling United. In July 2011, Andrew suffered a serious ankle injury on 30 July 2011 prior to the 2011/2012 season, which kept him sidelined for much of the season. He made a total of 75 League appearances for the Wings during his three years with the club, but due to continuing ankle problems, he announced his retirement from the game in July 2012.